The pond behind the house is 80 percent ice-free. Seven Wood Ducks were there earlier this morning, four of them drakes. 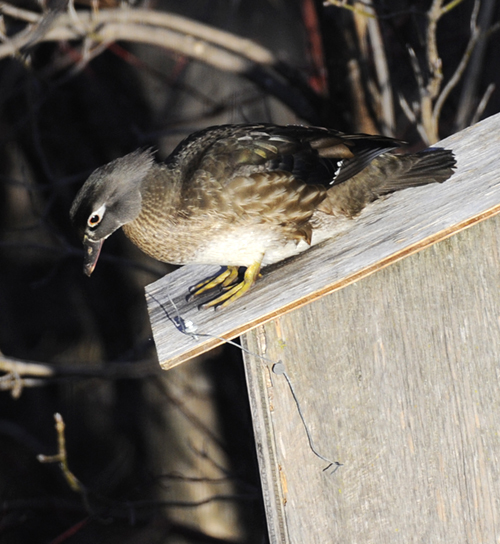 Wood Ducks nest here, using the boxes we provide. Mallards also have visited. 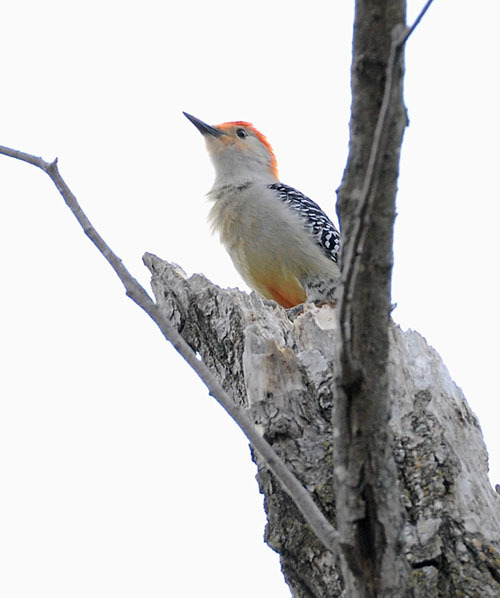 A Red-bellied Woodpecker is in high courtship gear (note the actual red belly on this bird, more visible in breeding plumage). 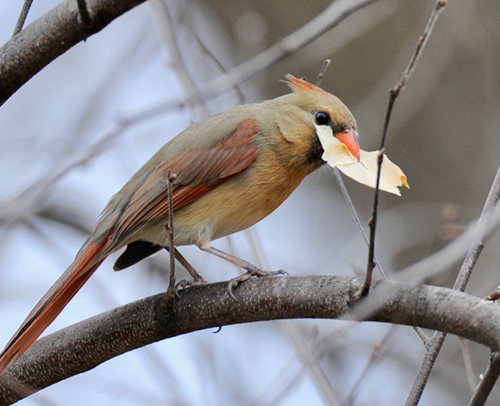 Perched on a dead box elder tree near the pond, he — we presume it is a male — has been calling steadily for three days. His song is the all-purpose churring call this species makes. 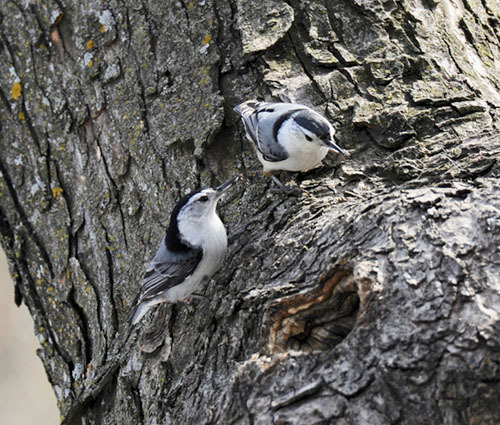 The bird churrs three or four times a minute. He slows as the afternoon wears on. I’ve put up one woodpecker nesting box in the yard, a modified duck box, and yesterday built a box designed for flickers, which we have in the neighborhood. Cross my fingers. 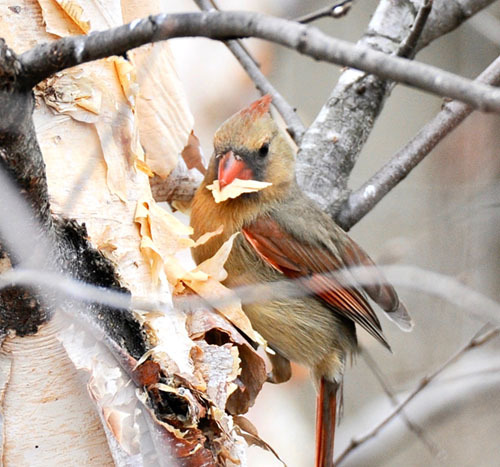 A female cardinal is tearing loose birch bark from our river birch, nesting material, I assume. Her nest is nearby. I just have to follow her. Two nights ago, April 23, I heard the first frog call coming from the pond, a lone Wood Frog tuning his voice.